Artificial Intelligence is already in use in several industries and as the technology improves AI will be assigned more and more tasks as time goes on. 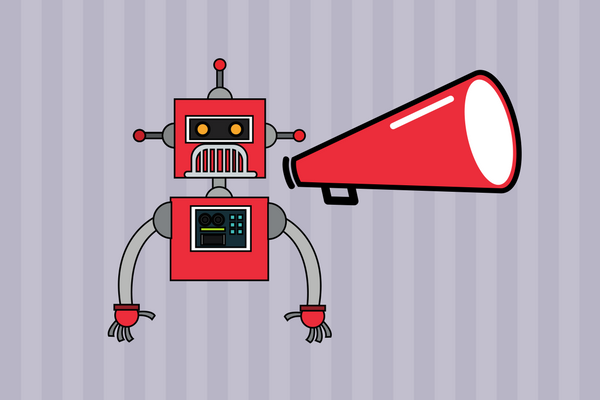 AI’s effects on public relations will certainly be far-reaching for both industry professionals and consumers as well. This article will focus on what the consumers (i.e. your customers) will see as AI becomes a more integrated part of the public relations industry. One of the impacts of AI that is currently being seen is its effect on personal newsfeeds on social media and news platforms. Machine learning responds to what you read and like and curates future results. This has the effect of curating your newsfeed to match your interests and worldview. Specific news sources whose content you respond favorably to are promoted while others you respond negatively are ignored and not listed. What this means for consumers is the PR they receive will be filtered through their desired news sources. This can result in a fragmented customer base and requires you reach out to various communication channels to assure your PR is reaching your entire consumer base. In the ‘old days’ PR was often released in local (or national) newspapers or via television advertisements to reach the public at large. Consumers in the modern market are much more insulated from generalised marketing and public relations material. The information they receive is now filtered through social media platforms, favored news sources, and identifying traits such as age, race, location, hobbies, and other specified factors. While this presents unique challenges it allows you to more effectively target PR to highly specific subgroups of your customer base i.e. consumers in a specific city who watch a specific television channel at a specific time. AI will make it so consumers receive PR that is directly targeted to products and services they use or are likely to use in the future. This means the PR they are exposed to is more likely to be read (instead of simply ignored) because it is directly targeted to a consumer’s specific needs. This will allow you to specifically target where and how your PR goes out to the greater public and therefore maximise its effectiveness. Lastly, the targeting aspects of AI will result in a more educated consumer base. Your customers will be more informed about your company, what it does, current industry news, and new product releases. While this creates more judgemental consumers it also creates more loyal ones as well. The consumer side of expanding AI use will see a PR field that specifically reaches out to them. Information will be more targeted at engaged (and potential) customers and this PR information will be sent through the communication sources they favour. This will cause PR content to become highly specific, targeted, and engaging with those it reaches and less broad in its content. This will result in a customer base that is fragmented into various ‘bubbles’ but at the same time is also easier to reach with material that is relevant to them.